NEW BREMBO FRONT BRAKES: Brembo 4-piston front brake caliper designed to provide the rider with a better braking performance, greater control, and even more confidence. 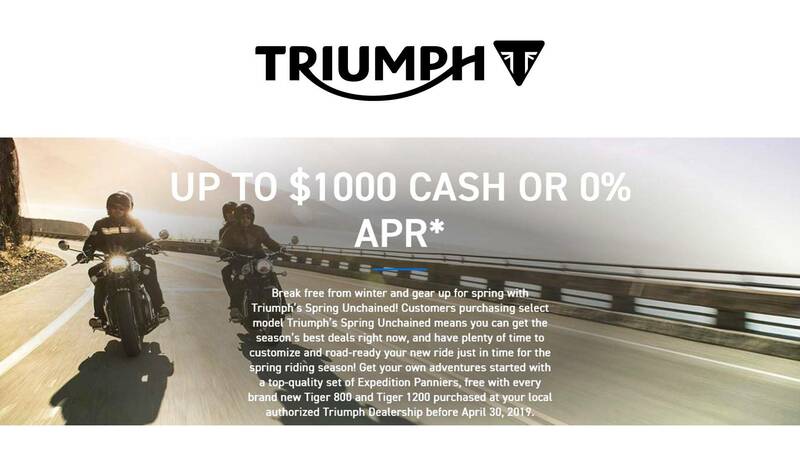 FIRST-IN-CLASS RIDING MODES: New to the Street Scrambler, and first in class, Road and Rain riding modes adjust the throttle map and traction control settings for enhanced riding control, While the Off-Road riding mode turns off the ABS and Traction control for even greater dual-purpose capability. NEW CARTRIDGE FORKS: Higher specification 41mm cartridge front forks have 120mm travel for a more comfortable and confident ride. 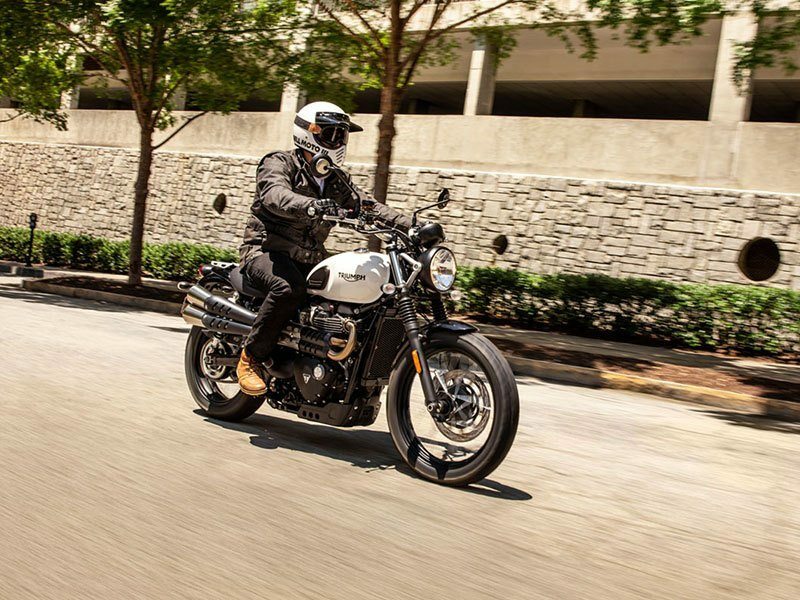 SWITCHABLE ABS & TRACTION CONTROL: Tastefully incorporated with minimal visual impact, the switchable capability of this bike’s ABS and traction control is unique to the Street Scrambler and reflects the dual purpose nature of this exceptionally versatile motorbike. TORQUE-ASSIST CLUTCH: The Street Scrambler’s torque-assist clutch brings a light touch and feel, making it easier to enjoy your riding for longer; a huge advantage over longer journeys and commutes that involve lots of stopping and starting. CLASSIC WIRE SPOKED WHEELS: Classic large-sized wire spoked wheels have steel rims and a premium blacked-out finish on the hubs and rims. 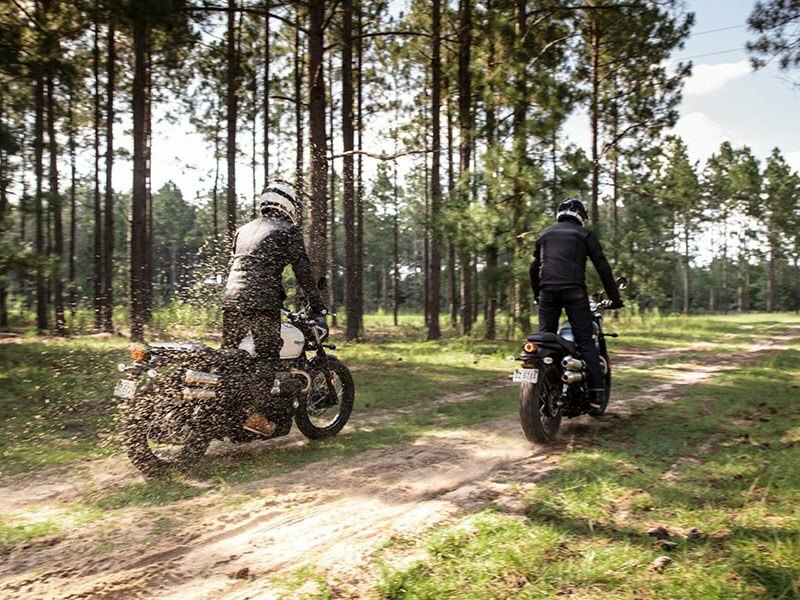 The pairing of 19-inch front and 17-inch rear wheels contributes to a commanding riding position and signature scrambler silhouette. 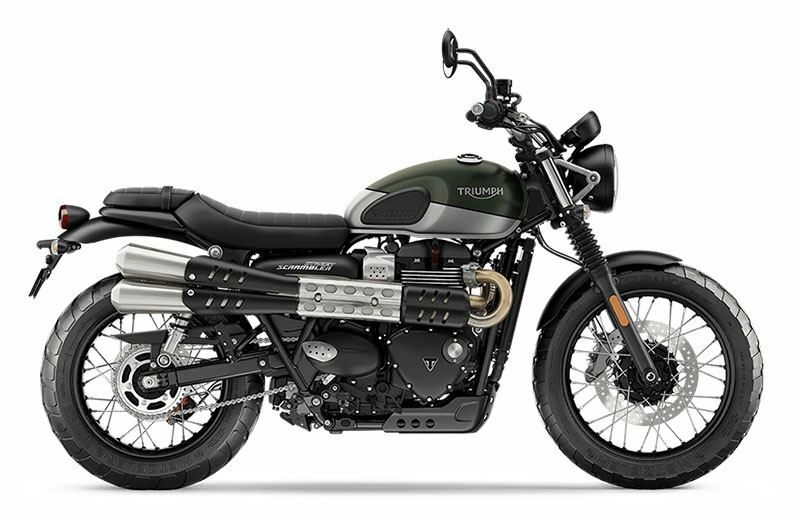 ADVANCED RIDER-FOCUSED TECHNOLOGY: A host of modern technology to improve your riding experience have been sensitively incorporated into the Street Scrambler, including ride-by-wire, LED rear light with distinctive pattern, innovative clean line ‘hidden cat box’ exhaust pipe run, immobiliser, and USB charging socket. 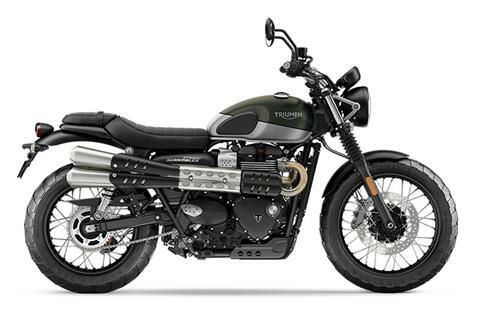 EYE-CATCHING HIGH TWIN SCRAMBLER EXHAUST: With a unique Scrambler exhaust note to match its character, the twin high level exhaust system features brushed stainless steel headers and silencers with stylish black heat shields, and includes a header run that integrates the cat box invisibly. 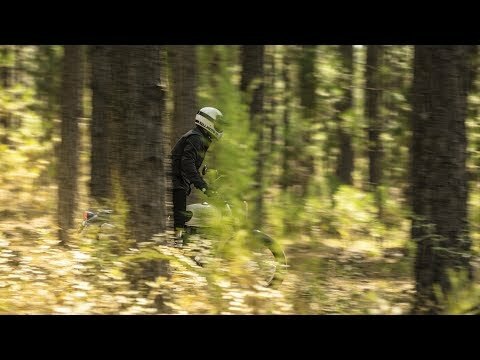 COMMANDING SCRAMBLER CHASSIS SET-UP: With its unique scrambler frame, wide aluminium handlebars, forward set pegs and big 19-inch front wheel, this bike has a commanding riding position and dynamic ergonomics which together deliver its renowned capable and comfortable ride. Front - Spoked, 2.5 x 19 in. Rear - Spoked, 4.25 x 17 in. LCD multi-functional instrument pack with analogue speedometer, engine rpm, odometer, gear position indicator, fuel gauge, range to empty indication, service indicator, clock, 2x trip, average & current fuel consumption display, traction control status display, heated grip ready - controlled by a handlebar mounted scroll button.